It has just been a couple of days since Windows 10 launched and already Microsoft is talking up the response that its latest OS has recieved from customers and the industry. Since the 29 July arrival of the OS the firm has been not only responding to the demands of those looking for an upgrade but also trying to get the message about the move to a world of continious support out there to those that could be tempted to return to the Windows world. The idea that this is an OS that would grow with the user was meant to be a concept that the customer got from the advertising campign that featured various toddlers. As the toddlers grow so will the OS is the message that customers are meant to take away from the launch. Quite how successful the attempt to bring on board some users that might have moved away from Windows over the past few years has been will take time to calculate. In the meantime the impact of the launch on those who are already converted seems to have been fairly swift. In a blog post issued late last night in the US the firm stated that Windows 10 was already installed on millions of devices and it was commited to dealing with a growing number of users that were in the queue to get their operating system upgraded. "While we now have more than 14 million devices running Windows 10, we still have many more upgrades to go before we catch up to each of you that reserved your upgrade. Rest assured we are working 24×7 to continue the upgrade process and are prioritizing the quality of your upgrade experience over anything else," stated the blog post. "We are grateful for your excitement and enthusiasm and we appreciate your patience over the days and weeks ahead as we carefully roll out Windows 10 in phases to all of you that have reserved," it added. But the ambition to reach one billion installs of Windows 10 was always going to require reaching out to fresh customers and on that front the vendor has been supported by a positive buzz around the launch. 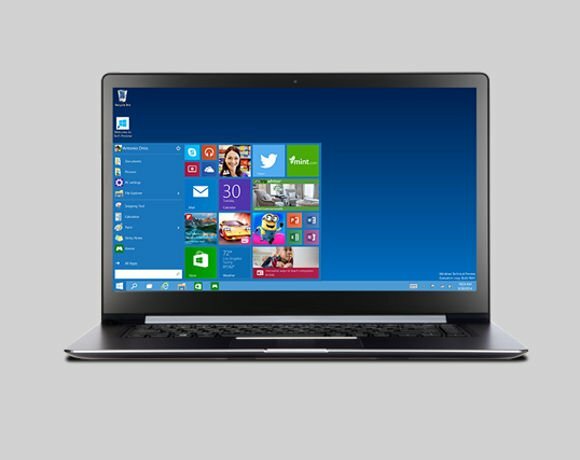 "The team has appreciated reading the positive product reviews and seeing the reaction to Windows 10 on social media. When Windows 10 began development, we could only dream of some of these headlines," stated the Windows blog. Having learnt from the experiences of Windows 8, which provoked a user backlash because some of the functionality had been changed, this time around the tech press has been fairly supportive of the OS and encouraged users to upgrade. There had been some concerns raised before the launch that the volume of people downloading the software could have damaged the global performance of the internet, but that prediction failed to materialise. For the channel the timing of the arrival of Windows 10 was always about getting the ducks in a row for the key Q4 selling period and the positive buzz around the software will only help strengthen the sales pitches that will begin in earnest once the summer holidays are over. Lenovo, HP, Dell and other major hardware vendors have also got behind the OS launch and added it to their latest models and should do plenty of marketing over the next few months to encourage investment from customers in some fresh technology. Although many will not need to upgrade their hardware to run the OS there will be a need to spend on fresh kit if the ambition is to take advantage of all of the enhancements that have been included in the latest product. The initial signs that corporate market will be upgrading fairly quickly, with many looking to move to Windows 10 in the next two years, have meant that the analysts are able to predict better things for the PC market in the second half of this year and into 2016.